Like many, you may be battling that nasty buildup of soap scum and hard water stains in your shower enclosure and not finding an easy way to clean it. What you need to know about many shower enclosures is that many of the products that can be bought at the store to clean them, either compound the problem or damage the tile or stone. Once the damage has been done your shower enclosure will require restoration. We use the same process to cleaning most types of floors, just a smaller condensed tool. 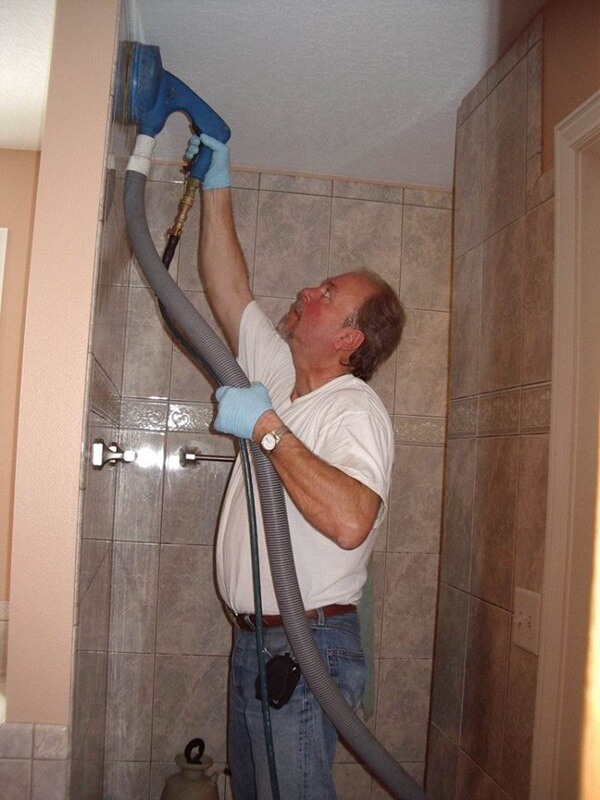 When we are done your shower will stay clean longer and it will be easier for you to maintain on a daily basis. We use a perfect amount of pressure and heat that is safe for all shower enclosures removing all foreign things that shouldn't be there. Leaving it gleaming and smooth and leaving you with a smile on your face!